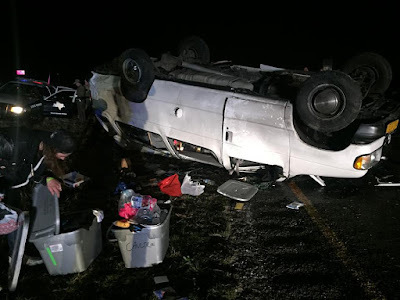 Cauldron have been forced to cancel their remaining dates of tour with due to a car crash on a highway in Texas on February 14 night. The band said in a statement: "Sorry to report the unfortunate news of our accident (not at fault [by the way]) on the highway in Texas last night and that we will have to pull out of the remaining eight tour dates. Ian [Chains, guitar] is recovering in hospital and is expected to make a full recovery, otherwise everyone is going to be okay. We are just happy to be alive at this point. Thanks for your support and to our tour mates Enforcer, Warbringer and Exmortus; we had fun and wish you all the best. Hope to see you all again soon."